My name is Alexander. I am from Bulgaria and I participate in the project „Wir für uns in Europa“. I want to publish some information about Foundation “The Fire of Orpheus”. Some of the members of the Foundation participate in the project, too. The Foundation is the main organizer and initiator of Summer Art Academy “The Fire of Orpheus”. Here is some of the description of the Academy. Summer Art Academy “The Fire of Orpheus” is yearly cultural event which is carried out in Shiroka Lukka village and the city of Smolyan in August. The purpose of the Academy is to support young talents in their way of creative development. In two weeks time – at one of the most magical recess of Rhodopa mountain, Shiroka Lukka – there gather participants, guests, teachers, people from different cultures and with different beliefs but with common love to the Art who come from all over Bulgaria and Europe to create atmosphere of spirit, creative striving and interest in the unfamiliar, different thing that any human individuality brings in itself. Favourable circumstances for this atmosphere are the organized during the Summer Academy master classes which include music, literature, folklore and fine arts and are leaded by tutors with active participation in the culture life of Bulgaria and Europe. Speech, sound, picture, movements of the body…All the oldest methods of expression receive new meaning on the Academy, thanks to teaching and creative approaches. The recognition and assimilation of their essence (their cosmic origin as a gift for the humanity, which participants do, are an expression of the eternal aspiration of the source of the Beautiful. 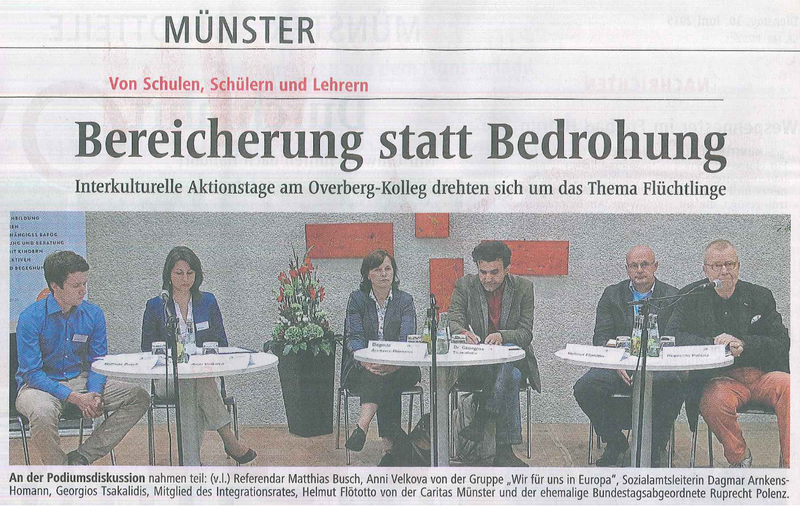 I think that the project of the Academy is similar to the project „Wir für uns in Europa“. During the Academy people from different countries meet and get to know each other. I believe that’s just what will happen during our meeting in September in Munster. The young talented people find out the differences as they cooperate with each other to create beautiful works of art and to get more knowledge. 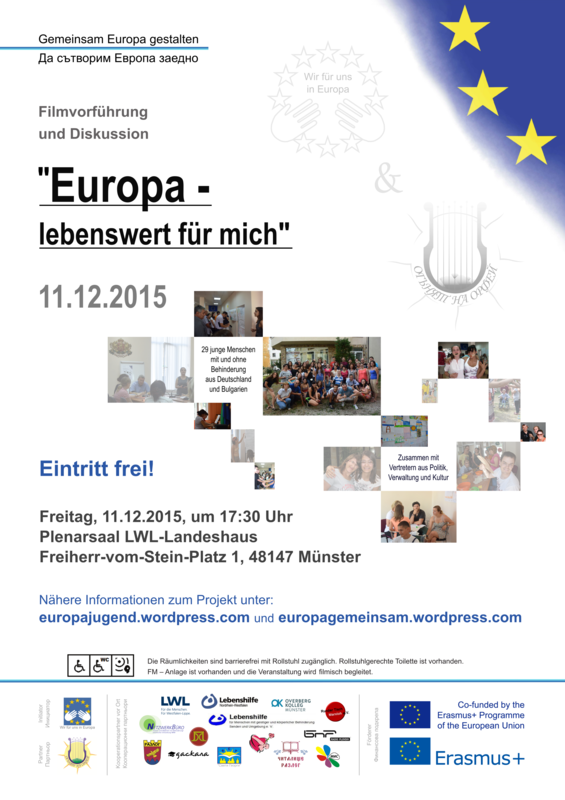 This is one of the basic aims of the project „Wir für uns in Europa“ ― inclusion. They learn to play better, to paint better and also to overcome the differences between each other. PS: I’d like to thank Jeana Ivanova, a member of the Foundation “The Fire of Orpheus”, for editing this text.